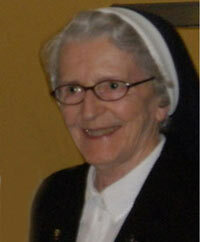 Sr. Angela Mary Doyle, a Sister of Mercy from Brisbane, visited MIC with colleagues and friends on 25 June. We were very happy to welcome them to Catherine's House. 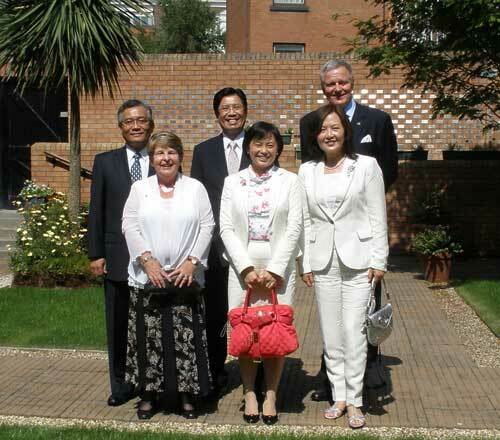 Among the guests were David Nan-Yang Lee and his wife, Jan-wang Lee. Mr. Nan-Yang is the Taipei Representative to Ireland. 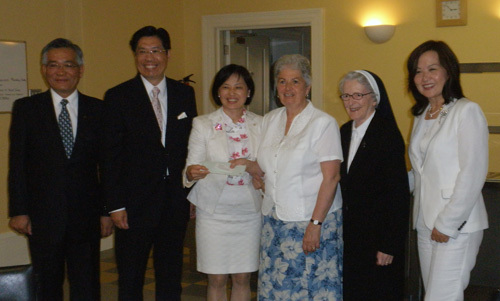 Janice Chou, Acting Manager of the Taiwan Takechi Foundation speaks of the many accomplishments of Sr. Angela Mary and because of her the Foundation presented a check for €1000 to Mercy International Centre. 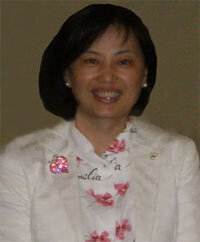 Thank you Dr. Yu-Huei Chang. Sr. Angela Mary Doyle praised the Taiwan Takechi Foundation as having similar values to Catherine McAuley. She compared the work of helping the poor, women and children. The Taiwan Takechi Foundation is a contributor to the Mater Hospital Brisbane. Left to Right: Leo Chou, Representative David Nan-Yang Lee, Mrs. Janice Chou, Lee Guirreri, rsm, Angela Mary Doyle rsm and Mrs. Jan-wan Lee. Front L to R: Helen Gregory, Janice Chou, Jan-wang Lee, Back Row L to R: Leo Chou, Respresentative David Nan-Yang Lee, Scott Gregory.